Mark Reckless MP has welcomed the Government’s announcement that schools in Medway will receive £1.9 million extra funding in 2015/16 to address a historic unfairness in the way school funding is allocated. This money is part of a proposed £350 million boost to the most underfunded local authorities. It represents a huge step towards removing the unfairness in the school funding system. “The school funding system which we inherited from Labour is unfair and resulted in pupils attracting very different levels of funding without good reason. 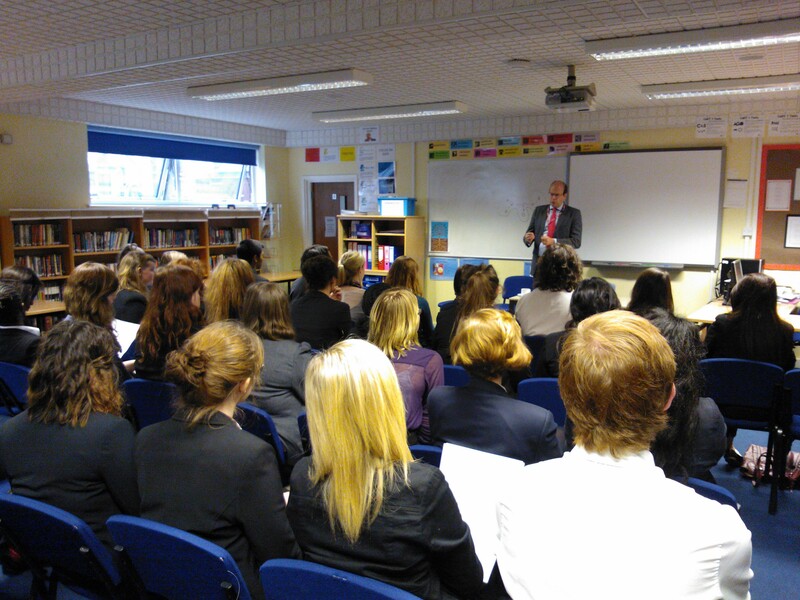 Local MP, Mark Reckless has welcomed the news that the number of students studying for core academic subjects has risen by 86 per cent thanks to this Government’s English Baccalaureate. In 2010 only 15.2 per cent of pupils in Rochester and Strood studied for the EBacc, but this rose to 23.8 per cent in 2013, with 21.4 per cent achieving the qualification, a rise of 81.4%. Pupils achieve the EBacc if they get a C or better in the core subjects of English, maths, history or geography, the sciences, and a language. These are the subjects most valued by universities and employers. This is the first year that the effects of the EBacc are fully reflected in the tables. ‘Under the last Labour Government the number of students sitting exams in these crucial academic subjects halved. Thanks to this Government’s reforms, the number of young people in Rochester and Strood studying the core subjects which will help them find a good job or university place has soared. Local MP, Mark Reckless has welcomed the news that the Government has announced an extra £2.35 billion to create more school places. This is in addition to the £5 billion which is already being spent in this parliament. This means that between 2014 and 2017 schools in Medway will receive £7,099,493. This is part of the Government’s long-term plan to give every young person the opportunity to fulfil their potential. It is the first time that councils have had 3-year allocations of funding to spend on school places, so Medway Council can plan ahead and ensure every child has a school place. This Government has already created 260,000 new school places and this announcement means thousands more are on the way. ‘The last Labour government ignored the fact that rising birth rates meant we will need thousands more school places in the coming years, and did nothing to prepare. It is great news for young people in Rochester and Strood that this Government has found billions of extra funding to ensure every child has a place at school so that they can fulfil their potential. ‘Labour were warned repeatedly that they hadn’t done enough to plan for a growing population – and once more it’s been left to the Coalition Government to clean up the mess. ‘Labour cut 200,000 primary places, slashed the amount spent on areas of population growth, and let immigration soar – and all this in the middle of a baby boom. ‘The Coalition Government has, however, taken swift action to repair the damage. We have more than doubled funding for new school places and we are also setting up great new free schools, which are giving parents a choice of high quality school places in areas Labour neglected. 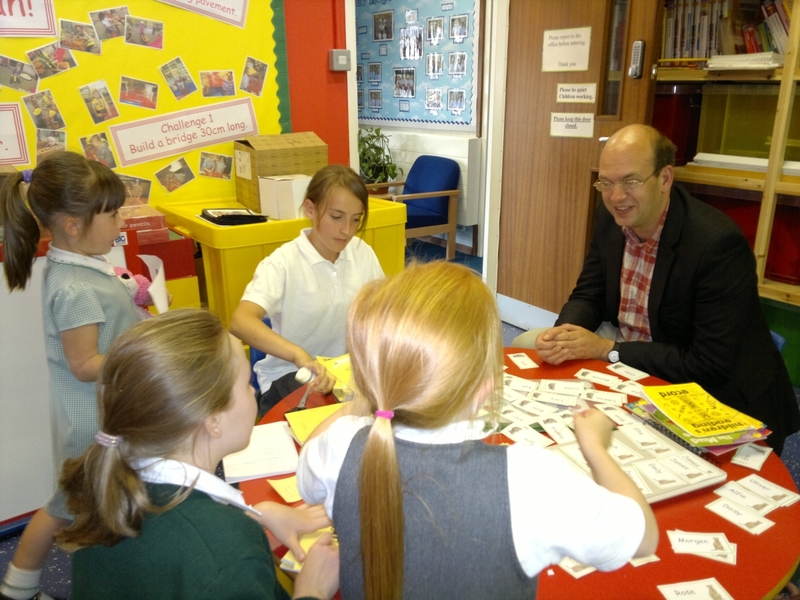 Mark Reckless, MP for Rochester and Strood, has called for local schools to get their pupils talking and learning about money, as part of a charity’s new campaign to help improve the financial capability of young people. 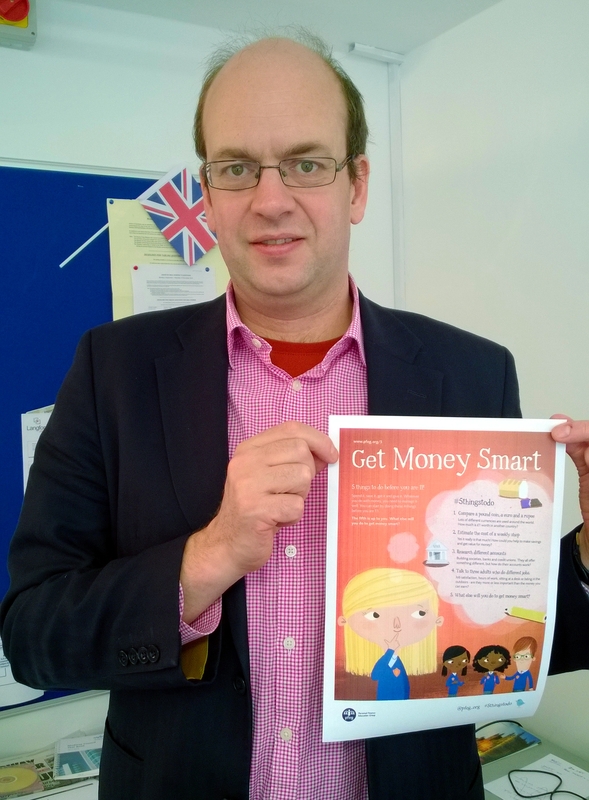 Every primary and secondary school in Rochester and Strood has been sent free Get Money Smart posters and teaching materials by national charity pfeg (Personal Finance Education Group), which wants to get children talking about money in the classroom. The charity’s Get Money Smart posters – for children aged up to seven, 11, 14 and 16 – are designed to encourage classroom discussions about things children can do to learn more about money and personal finance. Ideas for different ages include checking your change, estimating the cost of a weekly shop, comparing mobile phone tariffs and planning and budgeting for a trip. Schools in Rochester and Strood are being encouraged to hold discussions with their pupils over 4 things the posters suggest they can do to learn about money – with the 5th being left up to each class to decide. Ideas for the 5th activity can then be shared with other classes across the country on Twitter using the #5thingstodo hashtag. Mark Reckless MP has thrown his weight behind the effort as a way of helping young people in Rochester and Strood to gain the vital skills and knowledge they will need to manage their personal finances throughout their lives. The move follows news that after years of campaigning by the All Party Parliamentary Group on Financial Education for Young People, pfeg and MoneySavingExpert.com’s Martin Lewis, financial education will be taught in secondary schools as part of the National Curriculum from September 2014. The campaign has been made possible through a personal donation to pfeg from MoneySavingExpert.com’s Martin Lewis, which has enabled the charity to send free copies of the Get Money Smart posters and teaching resources to primary and secondary schools in the Rochester and Strood area and across the country. Mark Reckless, MP for Rochester and Strood, has hailed the announcement that Medway’s bid for a University Technical College (UTC) has been successful. The UTC – billed as a new concept in secondary education – has been given the green light by the Department for Education. The Medway UTC was one of 13 new UTCs announced today, bringing the national UTC total, when fully operational, to 45 which will cater for up to 27,000 students. The UTC in Chatham will specialise in engineering and construction, traditionally at the heart of Medway’s economy, and will be sponsored by the University of Greenwich, MidKent College, Medway Council and local employers. Work to get the college up and running will start immediately. “I am delighted that at the third time of trying we have succeeded in our application to have a University Technical College founded in Medway. Along with so many in the Council and partnership team I have lobbied ministers furiously to bring a UTC to Medway. We have succeeded. A number of local employers and businesses pledged their support to the college as part of the bid, including leaders in the construction and engineering industries BAE Systems, Delphi Diesel Systems, BAM Construct UK, Denne Construction and Gainwell Futures, along with the Royal School of Military Engineering. “Medway has a rich history of construction and engineering and a college specialising in these subjects will not only continue this tradition, but will also equip a new generation with first class technical skills that will help them pursue careers in these important sectors at all levels. “This is great news for Medway students. The council and its partners have always been committed to the delivery of a university technical college for Medway. “Medway’s economy will benefit greatly from having a UTC and now we are able to get on and make it a reality. 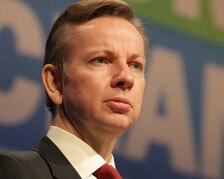 “We are delighted that the government has agreed to fund a University Technical College in Medway. 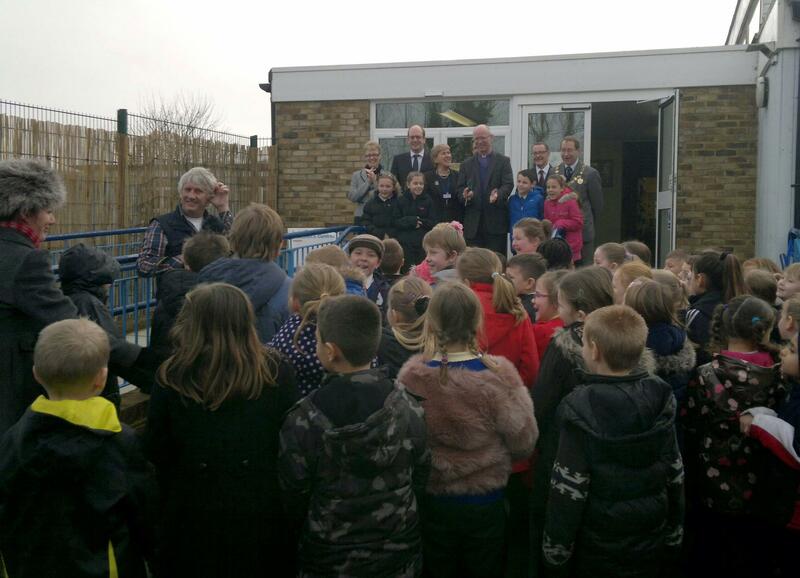 On Thursday 10th January 2012 Mark Reckless MP joined children, parents and guests, including the Mayor of Medway, to attend the academy dedication service for St James’ C of E Primary Academy School on the Isle of Grain. The service, held in the wonderful Norman church of St James, Grain, which neighbours the school, was very well attended. 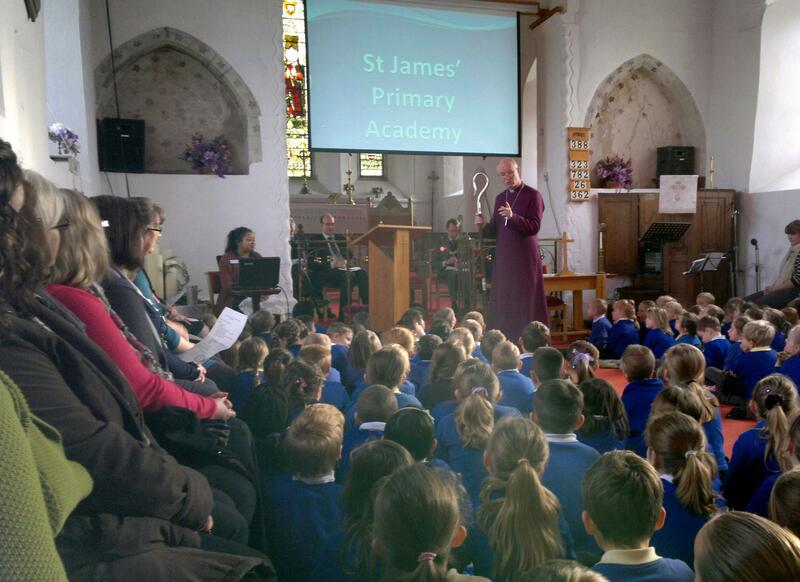 The Bishop of Rochester, the Rt Rev James Langstaff, led the dedication service following the school’s conversion to a Church Academy. The St James’ school has been co-sponsored by the Rochester Anglican Diocesan Board of Education and The Williamson Trust. “I was delighted to join both pupils and staff this morning at Grain church to celebrate the conversion of the school to an academy. This is an excellent opportunity for the school to build on the solid progress which has been made recently, giving them the freedom to take a pragmatic and effective approach to the education of children in Grain and the surrounding villages. Last month it was reported that Medway’s primary schools were the lowest rated in the country on one measure. Tracey Crouch MP and I demanded an urgent meeting with Medway’s new head of education, Barbara Peacock, and Juliet Sevior, her deputy for primary education, who has been working to turn round performance. This took place on Friday and was extremely constructive. The proportion of children gaining the expected level 4 or better at both English and Maths was a little better across the Rochester and Strood constituency, at 74%, but still not good overall. I have analysed those Key Stage 2 results for all primary schools in the constituency over the past five years, as well as the proportion of children both taking and passing the test to go to grammar school. The results make interesting reading for parents. What is striking is the sheer range of results. 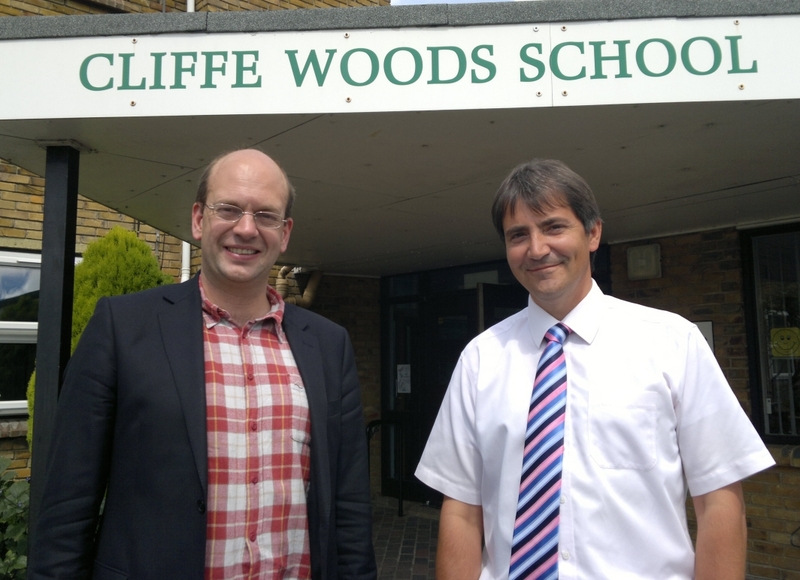 Cliffe Woods, whose conversion I welcomed as our first primary academy in Medway, has had at least 90% of children meet the standard each and every year from 2008 to 2012. At the bottom in 2012 and below 60% were All Faiths in Strood, although this was a slip after two better years, and Cuxton Junior School, which worryingly has fallen from 80% to 56% attainment in just five years. In our school by school discussion I was impressed by the extent to which our new council officers recognised and really understood the range of issues affecting different schools. However, the one which stands out again and again is the ability, drive and leadership shown (or in a few cases not shown) by the school head. There are a number of schools in which I believe that the council is intervening appropriately. In others I am pleased by the positive approach which Medway is taking to promote primary academies which are more free of council control. 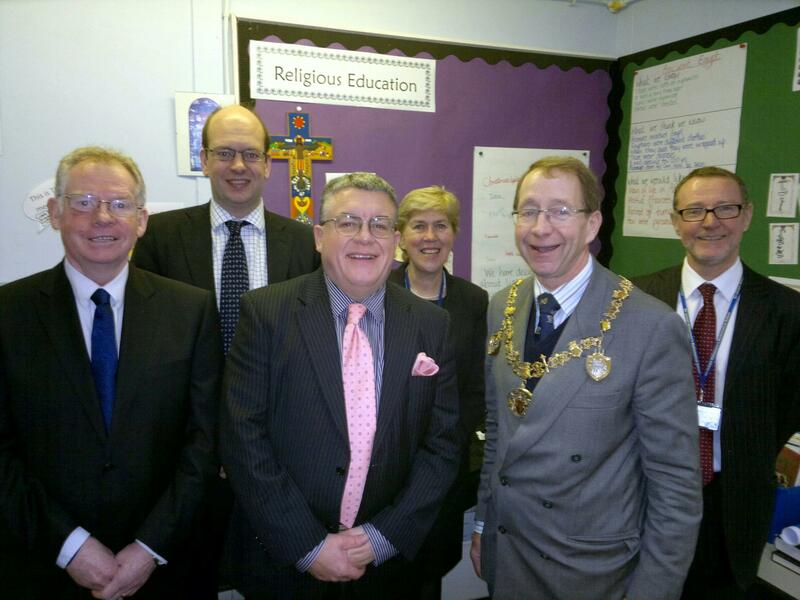 As well as the excellent Cliffe Woods, I recently opened the Elaine academy in Strood as part of the fantastic Williamson Trust based on the Rochester Maths School, and on Thursday I will be joining the Bishop of Rochester to open a primary academy at St James, Grain. I wish all our schools, their heads, teachers and pupils the very best. I will be keeping a very close eye on how attainment and results progress.